Mounts to QD swivel studs on bolt action and single-shot rifles for ultimate field accuracy. Won't change zero; added weight steadies gun. 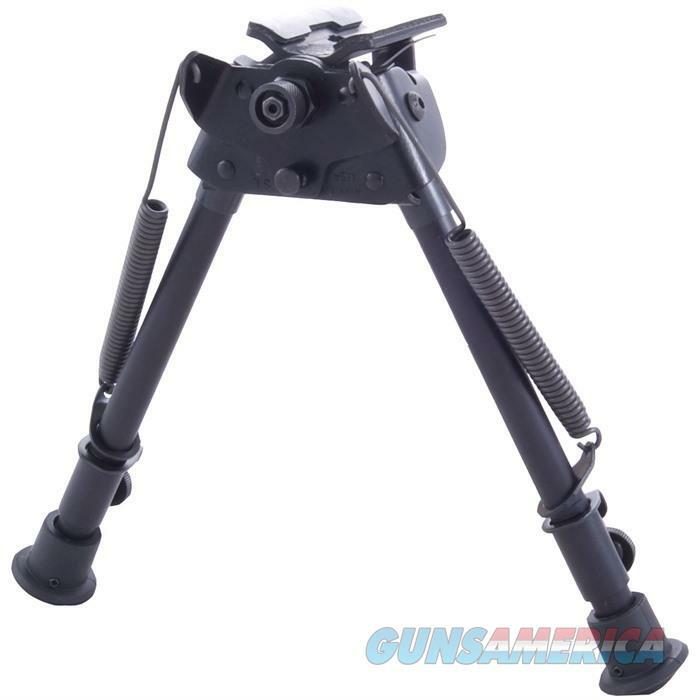 Spring-loaded, telescoping legs adjust quickly, fold parallel to barrel for carrying. Series 1A2 bipods have solid base and do not swivel or rotate. Series S bipods rotate 45?° for instant leveling on uneven ground. Buffer springs and adjustable tension on hinged base help eliminate tremor. All Models available in either Series. All Adapters fit either Series bipods. Not recommended for lever actions.